Ilbagno Alessi One is a bathroom design that has cast its spell over the home design world for years. It is characterised by a timeless form, sparkling imagination and a hint of eccentricity. This design award-winning ensemble is the creation of renowned Italian designer Stefano Giovannoni. 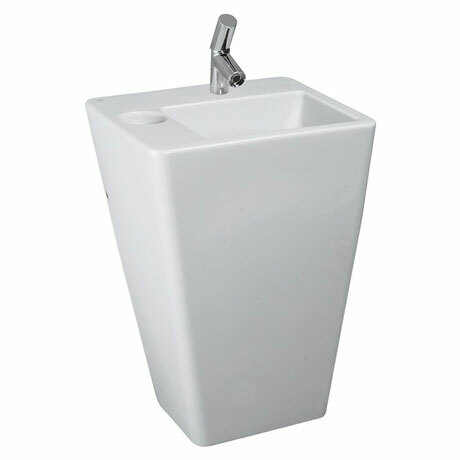 This stylish floor mounted 1 tap hole basin features a concealed waste and Geberit overflow system and will fit in perfectly into any contemporary bathroom. All Laufen sanitaryware is guaranteed for 5 years.